The Parity mirror cabinet features stylish vertical fluorescent lighting, ideal for shaving or applying make-up. The cabinet can be recessed into a wall for a shorter projection or mounted directly on to the wall. The integrated charging socket is ideal for toothbrushes, shavers and trimmers. Its soft closing double sided mirror doors allow you to use a mirror when the doors are open and a sensor switch so the light is simply turned on and off by a simple wave of your hand. 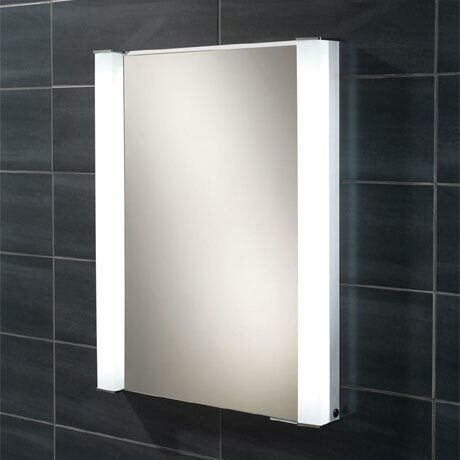 The mirror is IP44 rated which makes it suitable and safe for use in the bathroom.